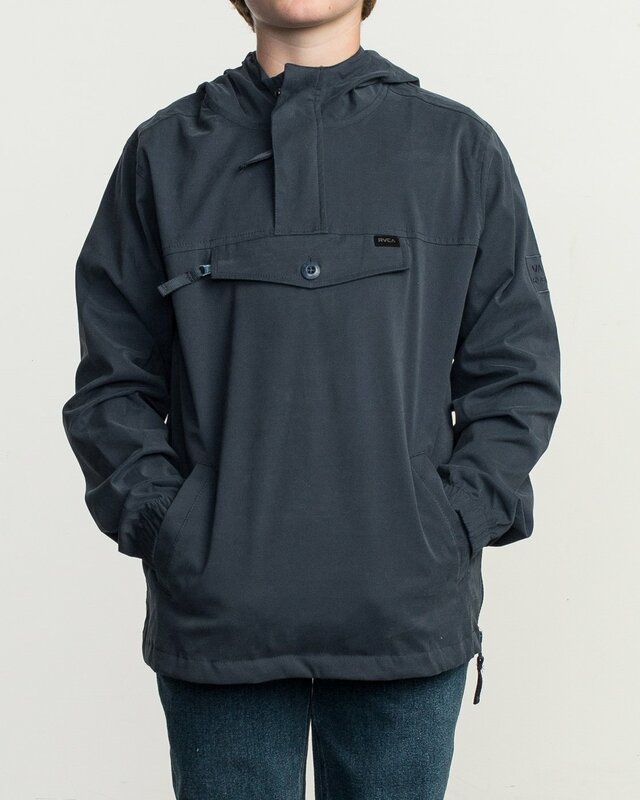 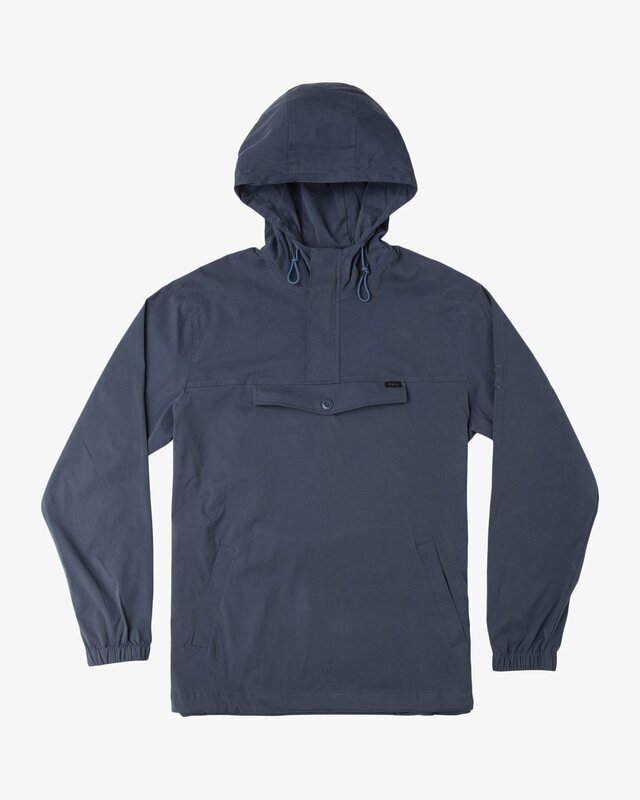 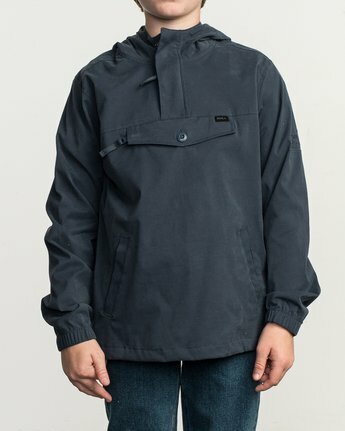 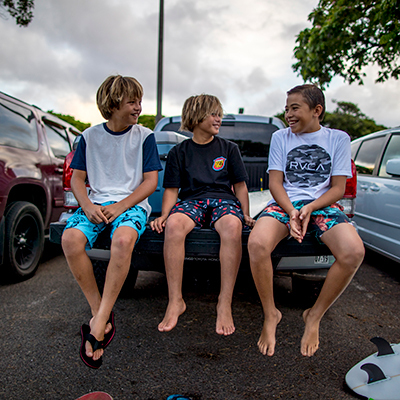 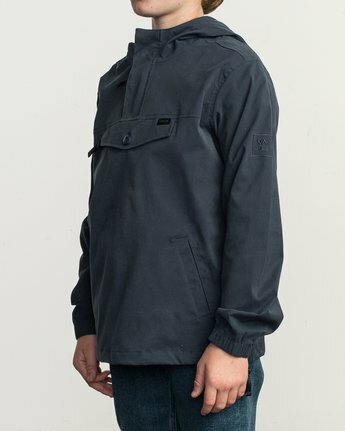 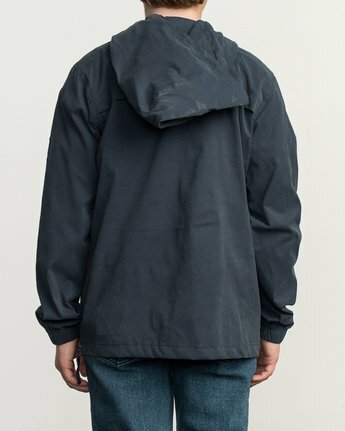 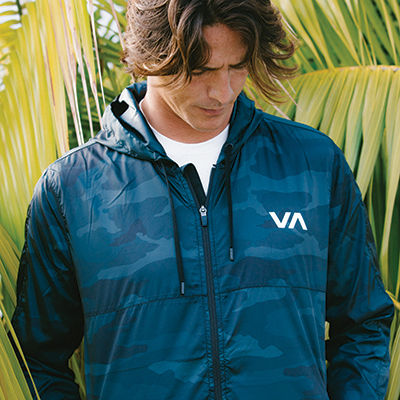 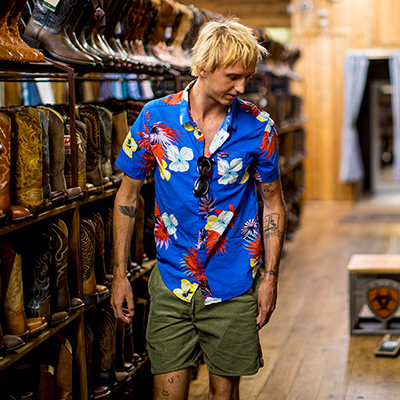 A utilitarian staple, the RVCA On Point Anorak Jacket for boys delivers a lightweight shell for all-weather function. Easy to pack down, the hooded jacket is ideal for the trek or travels, offering a DWR finish with 600mm of water-resistant coating to keep you dry without the bulk. Minimalist details include a large storage pocket at the chest with a zipper and button closure, a small suede label at the pocket flap and embroidery at the left sleeve. Functional additives include an adjustable hood, elastic at the sleeve cuffs, and 1/4 zip at the neck.